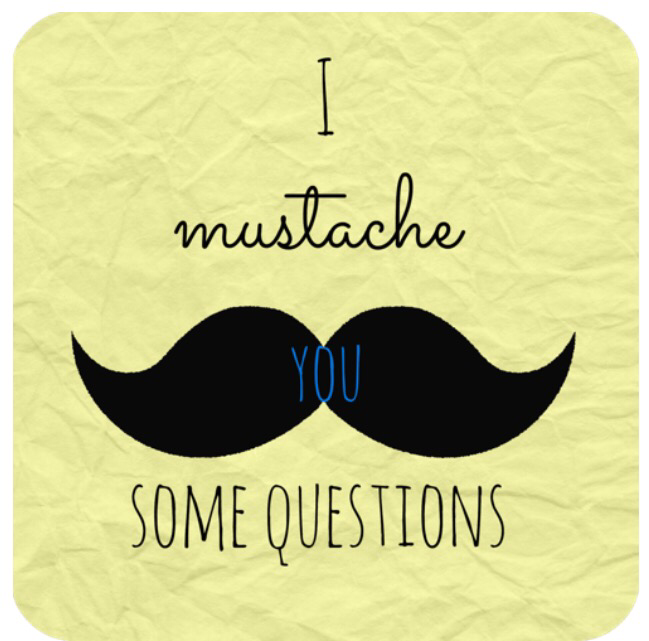 I Mustache You Some Questions is a tag post that someone suggested to me for a Blog-idays post. I finally got everything together, & it was fun to write since it was different than the Liebster Award. Let’s get started! Dad, will you come kill this spider? That’s it! I hope you enjoyed this post & that you take part in it even if you aren’t tagged. I’d love to read your answers, so just leave the link to your post answering the questions in the comments!